I'm confused. Is this a typical size for a micro-ATX case? It is LARGER than my Antec Sonata III, which is a standard-size ATX case. 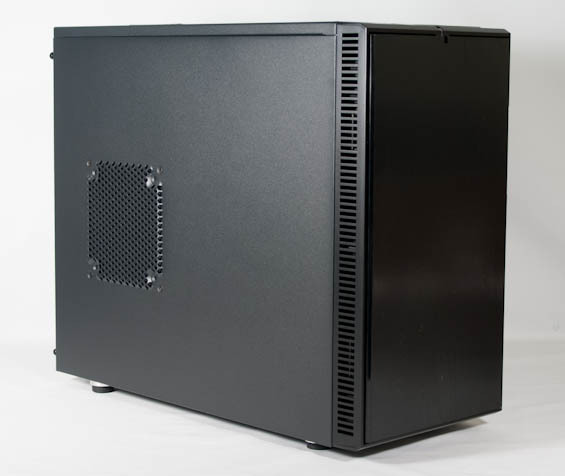 The (now discontinued) Antec P180 Mini was the same way. The spots where it's bigger than old cases are all cases where changing design requirements have triggered growth to meet. Making it slightly wider is needed to route cables behind the mobo tray. The increased depth is mostly used putting fans in the front and to give them side intakes for noise control; with a removable drive cage (to allow really big GPUs and make connecting sata cables easier) taking a bit as well. It could have been made another Inch shorter but that would have precluded space for a top fan. 1) Width is the same between the Define Mini and PS07, so nothing to say there. 2) The SilverStone is only 15.7" deep and fits front fans, an HDD cage, and the biggest GPU you want just fine. There is no top fan mount but there is a top exhaust that you can direct the PSU's exhaust through. It's able to accomplish this since the GPU sits on top of the drive bay instead of trying to fit behind it. SATA cable access is fine but is especially easy when you remove the drive cage. If the case you used couldn't fit large GPUs then that was a fault of that particular case's design. 3) The SilverStone's PSU is top mounted which I don't see as a problem. This permits space for optical drives, and below that space for the motherboard, large GPU, front fants, and drive cage all in 15.7" of depth as mentioned above. You can also choose to not bother with optical drives at all, and remove the drive cage entirely and still be able to have 1 SSD and 1 HDD in the case. Was interested in this article until I got to the case dimensions. 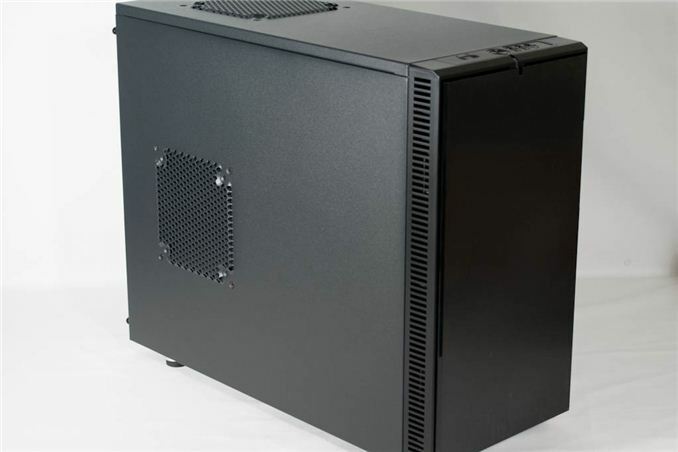 Why not just go with a standard full-sized ATX case and stuff a uATX board into it? At 8.3 x 15.6 x 19.3 isn't that what's being done here?